I found some interesting thoughts on decorating with white from Rachel Ashwell (the undisputed queen of white decorating as well as anything shabby and chic) and thought I would share them with you. 1. White is never boring! - It is a very dramatic color. That's proven over and over by weddings - we never tire of looking at them. 2. 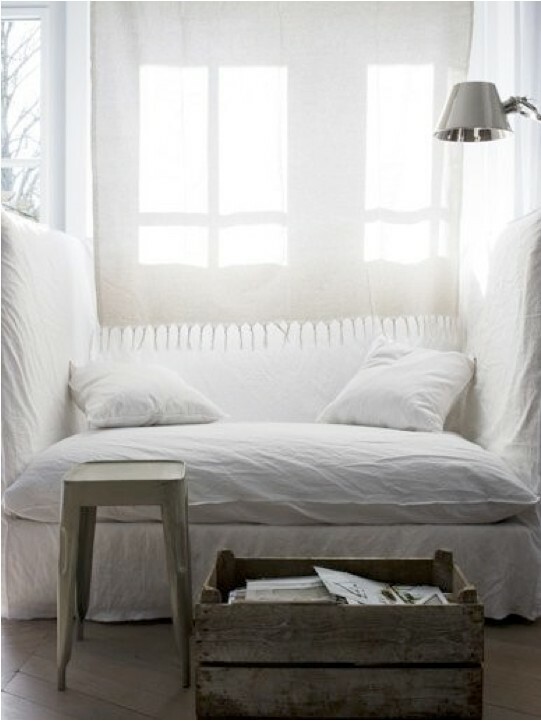 White can be cozy - People think white is cold because they believe it must be neat and uniform. Avoid using only hard modern pieces and add softer elements and distressed finishes to add warmth. 4. White is easy to care for! - Let the white be lived in! 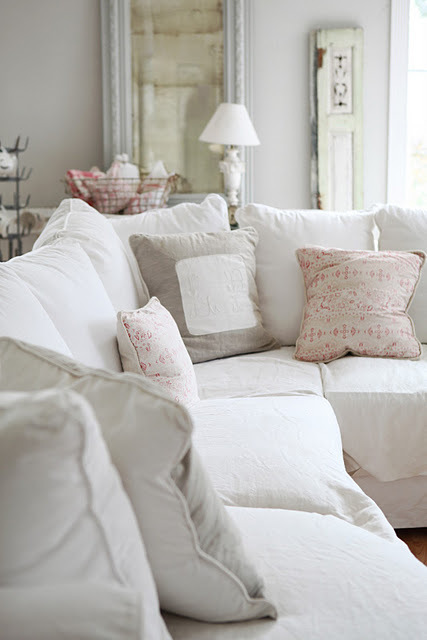 Use slipcovers and don't iron. If your human that gets old very quickly. Let me know your thoughts and tips on decorating with white!